South Korean girl group Blackpink, in less than three years, has cemented their status as one of the biggest pop acts to come out of Asia. Signed to YG Entertainment, Avex, and Interscope Records, the group, which consists of members Jennie, Jisoo, Lisa, and Rosé, took the world by storm with the release of their debut album, Square One. The single ‘Boombayah’ flew to No 1 on the Billboard World Digital Songs chart, and they subsequently took home New Artist of the Year Awards from the Golden Disk Awards, Seoul Music Awards, Melon Music Awards, and Mnet Asian Music Awards. To date, Blackpink has received 92 nominations and 24 awards, and hold the record for the highest-charting female K-pop act on the Billboard Hot 100 and 200, among several others. Before their debut, the four members trained with YG Entertainment, where they developed their singing, dancing, and performance skills after passing an audition stage. Member Jennie made her solo debut in 2018, winning the Gaon Chart Music Awards’ Song of the Year for November, and the rest of the members are currently working on upcoming solo projects. 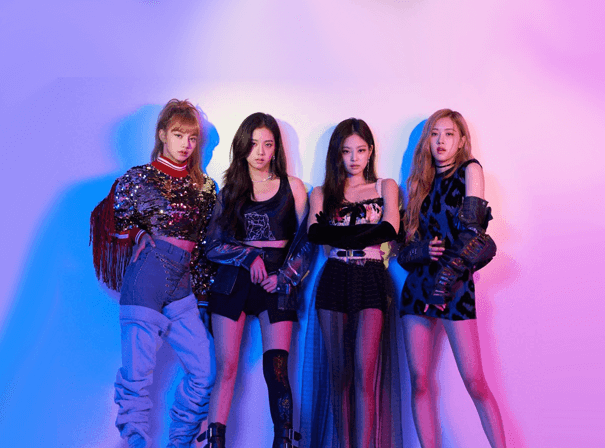 Blackpink has several projects planned for 2019, alongside a long-awaited performance at Coachella Music Festival, and a continuation of their international tour, In Your Area. Their devoted fans, lovingly called ‘Blinks’ (a combination of ‘black’ and ‘pink’), can keep up with the group’s activities through their social media channels and frequent TV appearances.